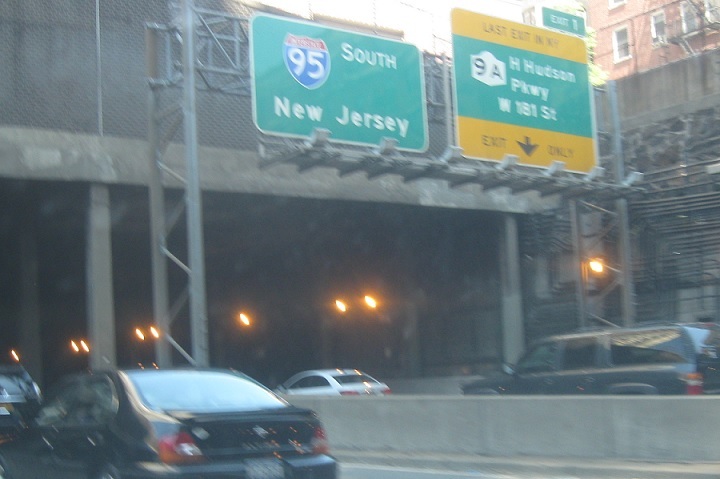 Exit right for NY 9A and the Henry Hudson. Keep left to follow I-95 into the Garden State. Lower level traffic is able to access NY 9A and the Henry Hudson. 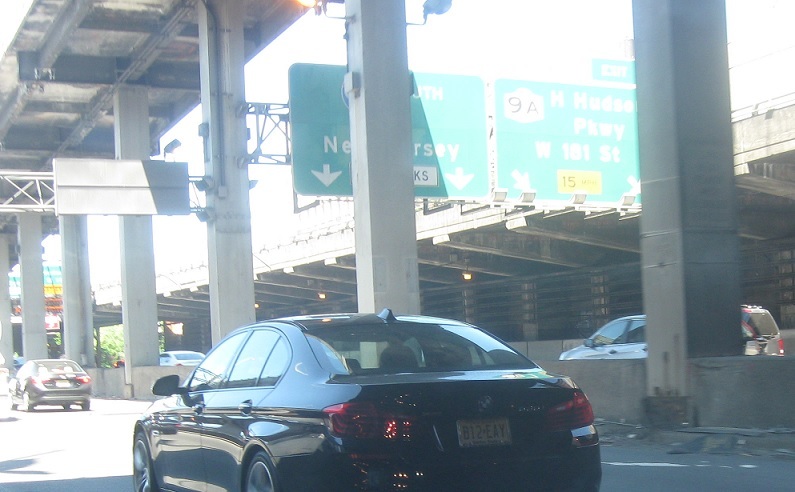 Lower level traffic should exit ahead for NY 9A/Henry Hudson Parkway via 181st Street. 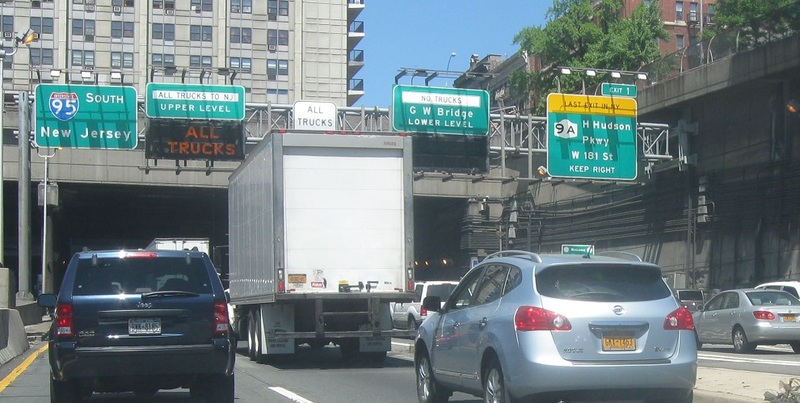 There is no direct connection to 9A or the Henry Hudson from 95 south, though there are some direct connections from those highways to I-95. US 9 south also joins the interstate here, with no access to US 9 north.